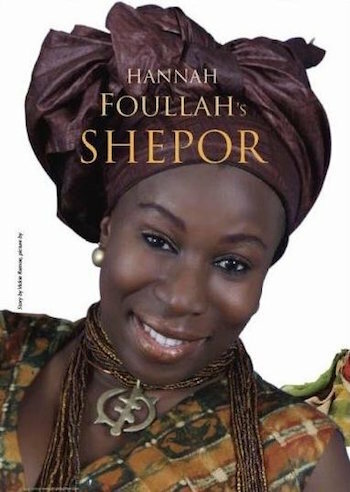 Summary: Hannah Foullah is a Sierra Leonean broadcaster whose sacrifice for her country has put her in harm’s way countless times. Nevertheless, she has never given up taking risks for the benefit of her fellow citizens, including broadcasting accurate bulletins from a “pirate” radio station literally under the noses of rebels who had taken Freetown during Sierra Leone’s brutal civil war. Profile: Hannah Foullah started her broadcasting career as a young undergraduate from Fourah Bay College, University of Sierra Leone. Her first job was with the Sierra Leone Broadcasting Corporation (then known as Sierra Leone Broadcasting Services), and soon she became known as a successful journalist. In 1997, President Ahmad Tejan Kabbah was overthrown in a coup headed by Johnny Paul Koroma, and Foullah fled Sierra Leone to neighboring Guinea. Living in Guinea as a refugee, worrying every day about the situation in Sierra Leone, and hampered by a language barrier, Hannah trekked constantly to the Sierra Leonean Embassy in Conakry hoping for news about her home country; it never came. However, an opportunity did come. A group of prominent Sierra Leonean exiles asked her to begin working with them on a radio station that would combat the misleading information coming from Sierra Leone. The station would be housed in the Lungi International Airport near Freetown, inside a base nominally protected by Nigerian troops, part of a peacekeeping force called ECOMOG. Foullah was frightened, but her fear was overcome by her staunch belief in the fight for her country’s freedom; she accepted the offer. In May 1997, days after accepting the offer, Hannah and the rest of her team left Guinea on a military plane for Sierra Leone. On the way, they stopped in Liberia to secure the equipment for setting up the station. Hannah and her team were set up in a military tent at the Lungi airport, surrounded with sand bags as a shield against gunfire. They used radio frequency FM 98.1 inasmuch as the official government channel, FM 99.9, had been grabbed by the rebels. Having noticed that the rebels’ radio frequency was frequently down, however, they procured another transmitter, tuned it to FM 99.9, and fed the FM 98.1 into it, further boosting their reach to the people. The battle lasted for three days. Foullah hid in a big cupboard while fighting diarrhea and other digestive maladies. The attacks proved to be commonplace. Foullah remained broadcasting, trying not to show any fear, since this would scare her listeners. On some occasions, the rebels would attack with helicopter gunships; on other occasions, they sent in spies to locate the station. Foullah’s group were instructed to put on military fatigues instead of the usual broadcast mufti so as not to give away their identities. Foullah and her colleagues spent nine long, torturous months at the Lungi airport. After the rebels had finally been cleared from Freetown, the radio station was transformed and dubbed the Voice of Democracy FM 98.1. It still broadcasts and continues to play an important role in Sierra Leone’s sustainable democratic process. Foullah herself has continued to receive threats from unknown rebel sympathizers who see her as having played a significant part in stopping them from usurping the powers of a democratic government. In 2017, the organization “Intelligence Quotient of Sierra Leone” recognized her as one of the 50 most influential women in Sierra Leone.